All you need to know about Post-Workout Nutrition. | http://skinnyroti.com | Get Skinny with Me! For muscle to grow, it must be stimulated. Have you been hitting the gym religiously but still find you can’t put on any muscle? Weight training is said to be the best way to stimulate your muscles for growth. After your muscles have been stimulated, they need nutrients, mainly aminos which are the building blocks of muscle. As you have probably read in other articles, insulin is said to play an important part in building muscle. Insulin transports nutrients to the organs in the body. This includes muscle cells, liver, and fat cells. (You’ve all heard that excessive insulin spikes lead to fat storage) But it’s not always bad. 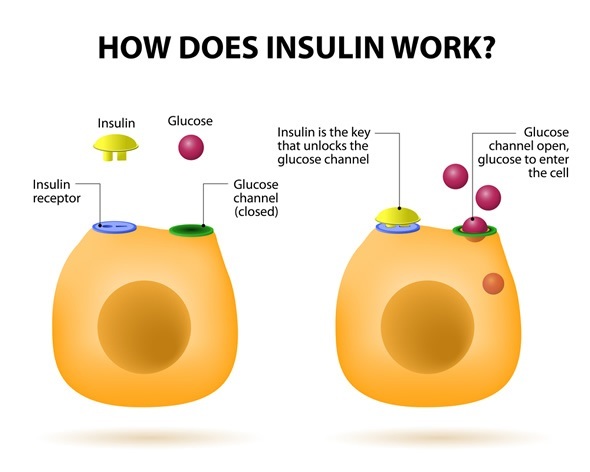 While insulin is driving amino acids and glucose into muscle cells, it also prevents the ‘leaking out’ of these nutrients from the muscle cells that usually occur in response to training. This prevents muscle atrophy commonly referred to as muscle wasting or our body “eating its muscle”. The main reason to consume carbs post-workout is to replenish the muscle and liver glycogen stores that you burned during your workout. As you train, your main fuel source is muscle glycogen. Glycogen is the storage form of glucose. BUT, carbs after workout do help preserve proteins from being used as energy thus saving them for protein synthesis. Carbs are then muscle sparing. Since the body prefers to use carbs sources for energy having adequate carbs protect the amino acid pool and supports protein synthesis as needed. 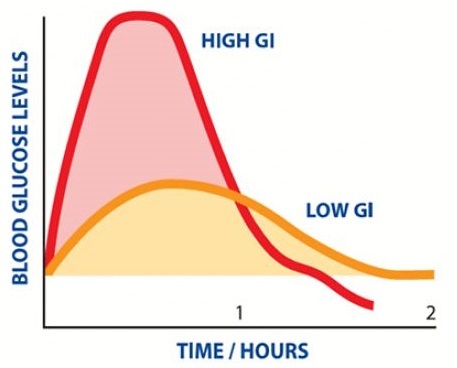 Research confirms that the best way to replenish muscle glycogen stores after workouts is to consume high-glycemic (fast-digesting) carbs as soon as possible. I would say that’s a bit of a stretch and even up to 30 minutes post workout is ok. I personally don’t know how anyone can go longer than 30 minutes post workout without food. I am starving, my muscles are starving and exhausted. If you’re not starving maybe you’re not training with enough intensity to even deplete glycogen?? So while insulin is well known as a anabolic “do-all”, it’s actually delivery of adequate amino acids to muscle cells from substantial amounts of protein that appears to be more critical. 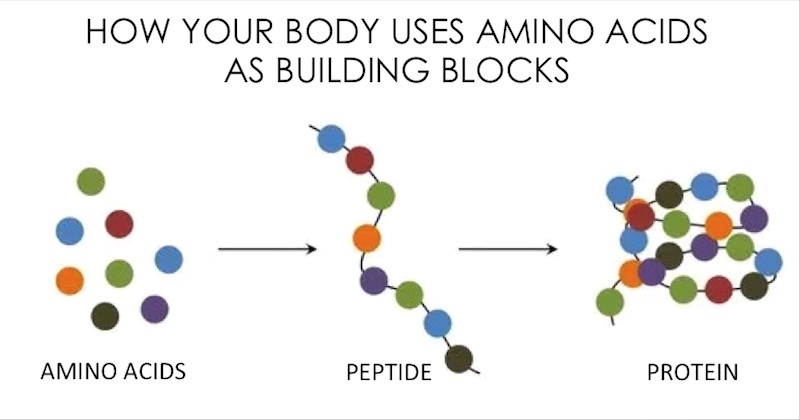 So how do those aminos and protein get to the muscle? Well the simple and short answer is your carbs will deliver them. So the debate of “do I need protein or carbs right after training” is simple. You need the aminos which come from the protein, which are delivered by the carbs. If your protein is coming from chicken or eggs (most poultry) you will get your aminos that way. If you are having a Whey protein shake, simply adding BCAAs (if you’re low carb or keto) will do the trick but a shake alone is also ok to give you that spike and deliver the aminos where needed. Adding Creatine to your post workout shake is ideal. Simple carbs in a shake (if youre a believer in the spike) can be chocolate milk, or adding in some honey or even having your plain shake with a side of regular apple sauce (not unsweetened). You’ll also find a lot of post workout concoctions contain the new craze “waxy maize starch”. It’s said to be absorbed even more quickly than dextrose and that it can restore muscle glycogen 70-80% faster than any other sources. There is not enough research to prove this works and lots of research showing it’s no better than dextrose. * For those that think fruits (fructose) gives you the immediate insulin spike fruits actually are low-glycemic. Fructose is a form of sugar that the body doesn’t really use well. Because of its structure, it can’t be directly turned into muscle glycogen like glucose can. When you consume fructose—fruit or high-fructose corn syrup—it’s not absorbed immediately into the bloodstream like glucose/dextrose. Instead, the majority of it must travel to the liver, where it can be converted into glucose and stored as glycogen to be released as glucose when the liver deems it necessary to maintain blood glucose levels. Some people will take dextrose (very common) which is consuming pure glucose. You can find this in certain candies or order it plain online. To raise blood sugar quickly this is best bet. One of my favourite post workout meals is cereal. Yes it’s a perfectly balanced meal, you use your Whey protein shake made with milk for your “milk”. One reason I really enjoy putting this in my client plans is it kind of makes dieting for the rest of the day easier, it feels like a cheat. And breakfast cereals are all pretty high GI. Oatmeal is as well depending on which kind-if its instant oats its high GI if its rolled or steel cut it’ll be lower GI. I prefer good old white rice (high glycemic), chicken, and some hemp oil for fats. I usually pack my post workout meal with me if I’m not going home after the gym. I get that protein shakes get the job done but nothing is as perfect as getting your nutrients from whole food. Your body processes them differently in term of how they’re broken down. *For vegetarians or Roti lovers (not me 🙂 Roti is high GI carb so as long as you get in sufficient protein (chic peas dal or tofu sabzii). But amino acids are harder to get through plant based protein so you may have to supplement with some BCAA’s or EAA’s.  My personal experience with myself and clients is that there is a significant need to have high GI carbs post workout if your goal is gains. Whether it’s from actual stimulated muscle growth or muscle preservation that leads to the gains is still up for debate. I just know it works. I believe strongly that insulin and managing and balancing it around workouts and throughout the day is the most effective way to lose weight and keep it off. Balanced nutrition always wins-for aesthetics and health.  So your takeaway is skip the shakes and fancy post workout concoctions and for real growth eat real food. Aminos (which come from protein) are most important. They are delivered to your muscles and liver via carbs.  Another post workout protocol to follow for maximum results is certain supplements. Creatine. It’s delivery is also dependent on insulin to gain entry into muscle cells and provide benefits. R-ALA: a fatty acid that is a super strong anti-oxidant and also helps to deliver nutrients to cells. Taurine: If its not already in your creatine powder this is another amazing super acid. I hope Ive cleared up some of your questions and answered that question of “what to eat post workout”? It is by far the most important meal of your day if you are training. At the end of the day no one wants to spend 60 minutes at the gym and not ever see the results of their hard work. I see so many people failing just because of their post workout protocol. If you’re not serious about gains whey protein shake will do the job. But if you want to see some growth, some tone and definition then you best be eating to grow and utilizing the post workout window to make sure at the very least that you’re not losing muscle. And remember, Im not a doctor, just a nutritionist. So if you have any medical conditions please consult with an expert. My advise is based on my experience with my clients who I do thorough health checks with before beginning any new program. Eat to grow my friends. Send me an email below if you’re ready to start your own transformation. 100% personalized diet and training plans with unlimited support from me 🙂 Share this article below if you think your friends and family can benefit from this.